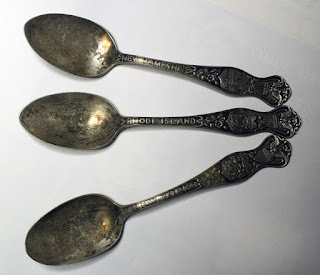 Some sales I have visited recently were so full of collectables and so interested to clear them out that I begin to lose perspective and just start buying things whether I want them or not. 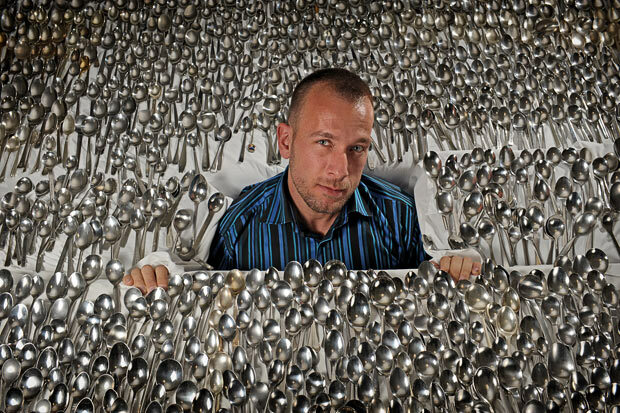 This is dangerous ground...or as I prefer to call it the "Border of Hoarder." 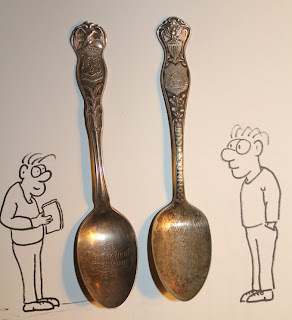 I will never be a hoarder (I know..never say never) but I am in touch with perspective and ...and ...Oh! look at this! 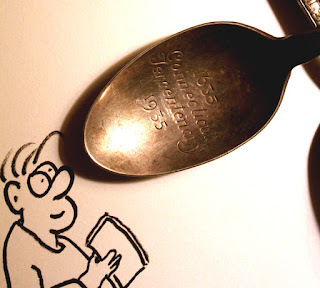 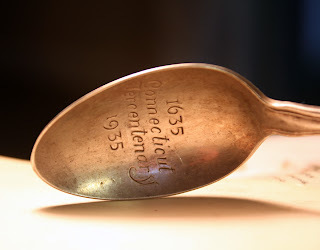 While I prefer old paper, these spoons from Connecticut seems worth a look. I liked the Charlie McCarthy spoon because it represents the age of radio program give-aways. 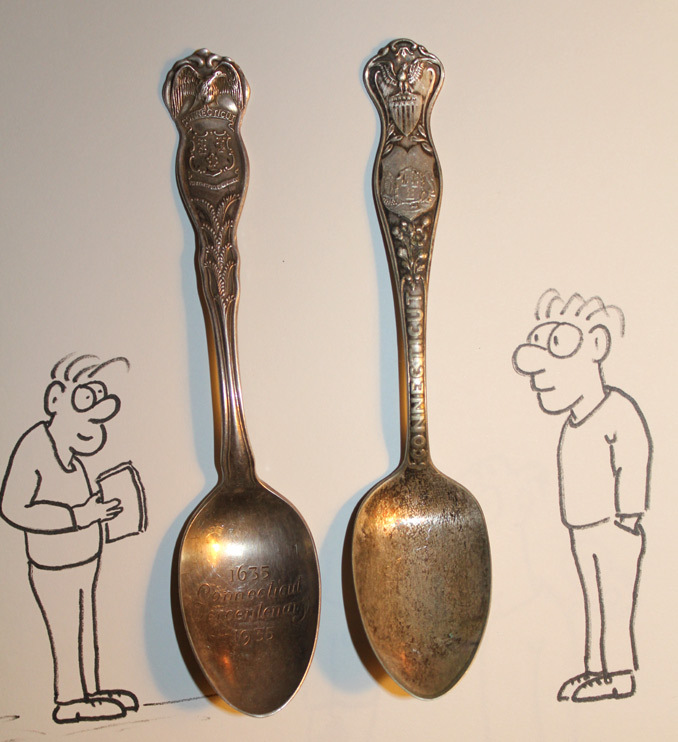 Edgar Bergan and his puppet Charlie McCarthy were part of the Chase and Sanborn Radio hour and other sponsors from 1937 to 1956. This spoon was sent to anyone who clipped a coupon and sent it and 10 cents. 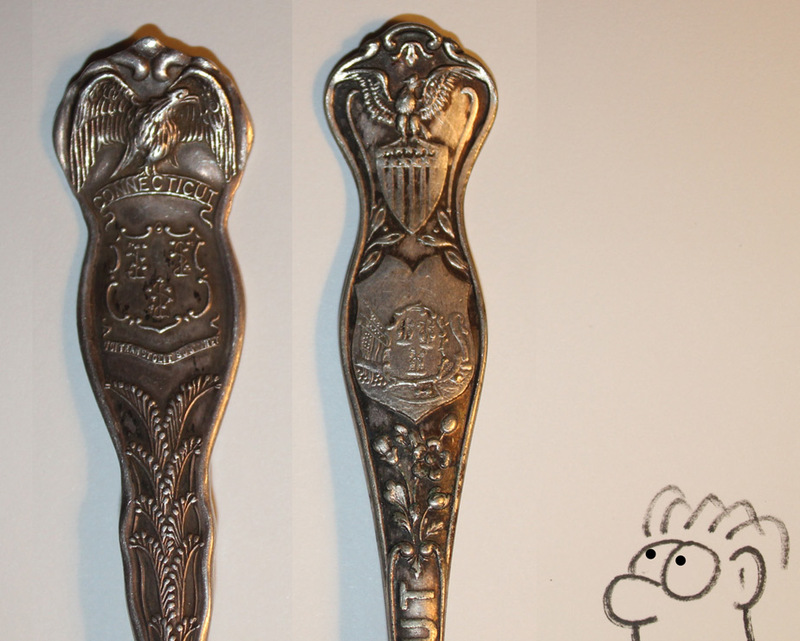 Not rare, there are about 20 of these spoons currently for sale on E-bay. 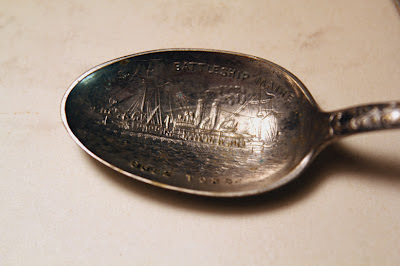 This spoon featuring the USS Maine is a mystery. 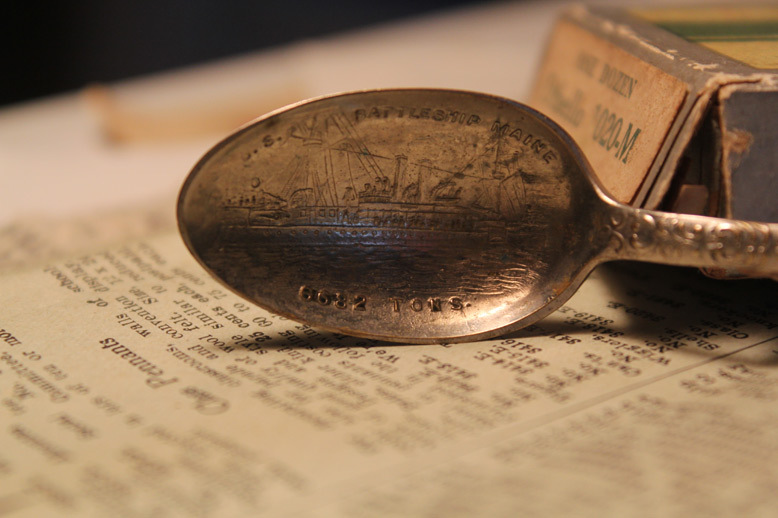 It looks to be similar to one described as being from 1890 to commemorate her launching with no confirmation that it is silver. The Maine was destroyed due to unknown circumstances in Havana harbor in 1898. 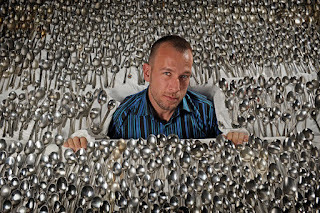 Well, I guess I now collect spoons, but really how far can a little collection like this go?